Stop Dreaming and Finally Take That Dance Lesson! 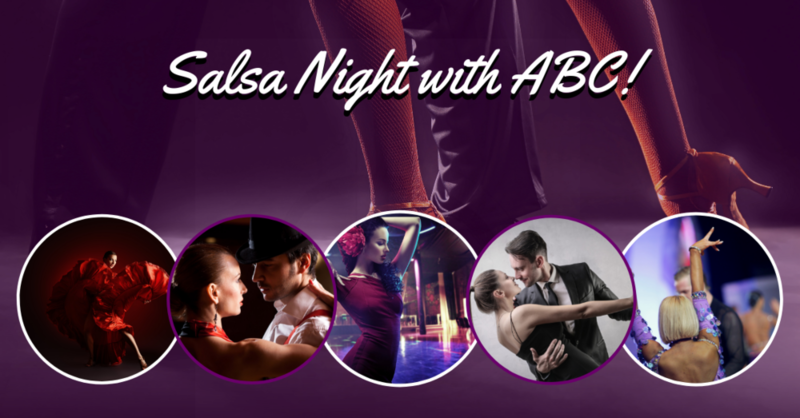 Our SALSA NIGHT WITH ABC will start with a Salsa Group Class from 7:00 pm to 8:30 pm. After the Salsa Class we will meet at Dave and Busters located at the Tempe Market Place at 9 pm for some real live Salsa Dancing in a very fun Salsa Venue! This venue is perfect for Salsa Dancing! We will be splitting the classes into two groups, Newcomers in one group and Intermediate-Advanced in another group. No Experience or Partner is necessary to join the classes. While at Dave and Buster's you will be able to dance with your fellow group class members and the teachers of Arizona Ballroom Champions! This class is only $35, and if you pay online, it is only $25! Hurry and sign up today, space is limited! Arizona Ballroom Champions is conveniently located on the South East Corner of McClintock and Baseline in Tempe. You do not want to miss this amazing INTRO CLASS designed for students with little to no dance experience. Sign up and lets Salsa! Sign Up and Let's Salsa!